Lasya L Dixit Gollakota is currently pursuing her International Master in Business (IMB) at SDA Bocconi Asia Center, Mumbai, India for the academic year 2018-2020. She holds an engineering degree in Electronics and Communications from Jawaharlal Nehru Techonological University, India, where she studied from 2011-2015. 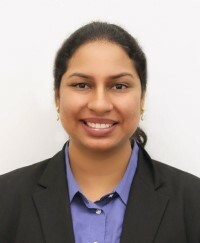 From 2015 to 2018 Lasya worked as a Project Engineer for Wipro Limited, Bangalore across domains such as oil and gas, banking and financial sector for oil and gas supermajor, UK gas major and US financial services firm major. Her work included demand forecast and inventory management to help the client deliver gas, perform analytical calculations, third party applications’ collaboration, business application development and enhancement, automation, identification, measurement and communication of economic transactions, performing root cause analysis of anamoly and generating reports for EMEA regions. During her study at SDA Bocconi Asia Center she has worked with Yamini India Private Limited in conducting a feasibility study to launch a new product in Malaysia. She has also worked on a research project with HDFC Bank in understanding fintechs and in adopting a fintech community. To see Ms. Lasya’s more detailed CV, click here. Share the post "Lasya L Dixit Gollakota"